Who will be victorious? More than 30 teams to compete for 2016 Brimbank Cup! More than 30 teams will compete for the coveted 2016 Brimbank Cup at Green Gully Reserve, Keilor Downs, on Saturday 13 to Sunday 14 February 2016. Now in its fifth year, the award-winning annual two-day soccer tournament attracts men’s and women’s teams from local soccer clubs and community groups. The Brimbank Cup is a family friendly event with lots of entertainment including the football freestylers show, African drumming, junior soccer activities, social sevens and much more. The cup is presented by Brimbank City Council in partnership with Victoria Police and Football Federation Victoria and is hosted by Keilor Wolves Soccer Club. Chair of Brimbank Administrators, Mr John Watson said the fifth annual Brimbank Cup would bring together teams representing more than 15 nationalities. “The award-winning Brimbank Cup has become a highly anticipated annual event amongst the local soccer community. It’s a great event for the whole community to enjoy whether you’re a soccer fan or not." 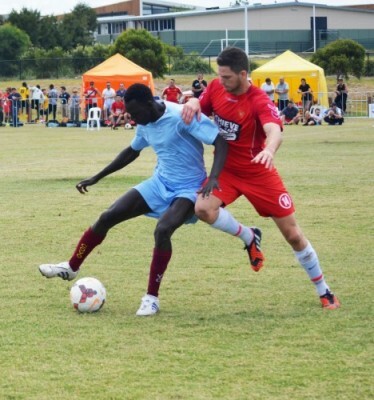 Football Federation Victoria CEO, Peter Gome said: “The Brimbank Cup is a fantastic event that promotes and provides opportunities for newly arrived communities to participate in football.